Photography Exhibit & Gala Event Celebrating Pride 2016! Exhibit Reception & Performance: June 18, 2016 at 4pm-9pm. The exhibit will focus on a historic body of exciting and iconic photographs showcasing “Gay Pride”, as well as include contemporary photographs from both bay area LGBT Youth and LGBT Seniors. To celebrate the opening of this unique exhibit we are hosting a fabulous party with music, performance, and more celebrating the launch of Pride Season in San Francisco hosted by local impresario Peaches Christ. The famous Drag performer Peaches Christ will be on hand to help us kick off this illustrious celebration and exhibit with a show featuring local performers and photographers. Saul Bromberger and Sandra Hoover are a SF Bay Area photography team who’ve worked as a team for 25 + years, specializing in work for editorial, commercial, and non-profit clients. They have a collaborative approach that combines their portrait and photo-journalistic skills to convey the story for their client or for their personal project. Their clients include Stanford University, The McKesson Foundation, Oracle, California Pacific Medical Center, The Family Caregiver Alliance, Rubicon Programs and the USA State Dept. program TechWomen. Some of the magazines they’ve been published in include LIFE, The Technology Review, Discover, Stanford Medicine, and Parenting. Much of their documentary work is about the LGBT community — they’ve produced photos essays about the San Francisco Gay Parade in the 1980’s when it was a civil rights movement and the gay community was uniting, ‘Portrait of Caring: Living With AIDS at the Bailey-Boushay House,’ about the 1st AIDS hospice in the USA, portraits of LGBTQ teens at the Hayward Gay Prom, and a project about ‘Long Term HIV Survivors.’ They’ve also produced ‘American Portraits: Hopes & Dreams,’ a 25-year long a project that is about their observations and interpretations about Americana. They’ve also had exhibits at the PhotoCentral gallery in Hayward, Foothill College, Moorpark College, The James Hormel Gay & Lesbian Center at the San Francisco Public Library, San Francisco City Hall, and the Benham Gallery in Seattle. Tim Wilson, librarian and processing archivist for the James C. Hormel LGBTQIA Center, San Francisco Public Library. The James C. Hormel LGBTQIA Center is the gateway to the San Francisco Public Library’s broader collections documenting lesbian, gay, bisexual, transgender, queer, questioning, intersex and allies’ history and culture, with a special emphasis on the San Francisco Bay Area. In addition to books, periodicals and archival collections, the Center collaborates with other library departments and community organizations to sponsor a diverse array of exhibitions and public programs. The Hormel Center is celebrating its 20th anniversary this year with a large exhibition at the Main Library and the Harvey Milk Memorial/Eureka Valley Branch Library. Francisco Public Library (see below) & James C. Hormel LGBTQIAThe photographs selected were drawn from several of the LGBTQIA Center’s archival collections: the Rikki Streicher and Mary Sager Photograph Albums, the Cliff Anchor Papers, the Harry Hay Papers, the John Gruber Papers, the Harvey Milk Archives-Scott Smith Collection, and the Peter Adair Papers. Rikki Streicher (1925-1994) was the owner of Maud’s and Amelia’s, two lesbian bars that were vital community gathering spaces from the 1960s through the 80s. Cliff Anchor (1936-2000) was a gay rights activist, military man and radio broadcaster who had a long term relationship with Leonard Matlovich, a United States Air Force Sergeant who was expelled from service with a general discharge after he disclosed his homosexuality in 1975. Harry Hay (1912-2002) was a political activist, labor advocate, and teacher. He was a founder of several homophile organizations: the Mattachine Society, the Circle of Loving Companions, and the Radical Faeries. James (later John) Gruber was also a member of the Mattachine Society. Harvey Milk (1930-1978) was the first openly gay candidate elected to the San Francisco Board of Supervisors; Castro Camera was his photo business. Peter Adair (1944-1996) was a documentary filmmaker who is best known for “Word Is Out: Stories of Some of Our Lives: Conversations with 26 Gay Men and Women” (1977). Sally Gearhart, a teacher, feminist, political activist, and science fiction writer, is one of the 26 people interviewed in the film. Peaches Christ is a filmmaker and cult leader living in San Francisco. 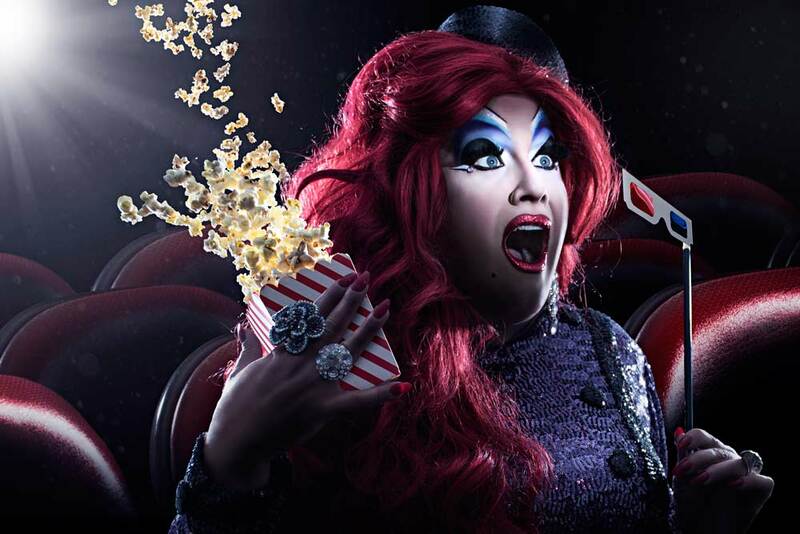 Her infamous cult-movie events are self-produced at the Castro Theatre and regularly draw over 1,000 attendees to each new production. Events have featured special guest stars John Waters, Cloris Leachman, Appolonia, Barry Bostwick, Pam Grier, and more. Peaches regularly tours these shows and has performed her “Return To Gray Gardens” parody co-starring Jinkx Monsoon and Mink Stole to San Francisco, Seattle, Los Angeles, New York City, and Provincetown. Peaches is the alter- ego of Joshua Grannell, the writer and director of the feature film All About Evil. The award-winning dark comedy gore film stars Natasha Lyonne, Thomas Dekker, Cassandra Peterson, Mink Stole, and Peaches Christ herself. Peaches Christ has been featured in the films Milk, I Am Divine, Diary Of A Teenage Girl, and on VH1’s Totally Gay!, AMC’s “Movies That Shook the World”, HBO’s Looking, and her own Midnight Mass television show for HDnet produced by Mark Cuban.